November 06, 2018 at 11:51 pm. 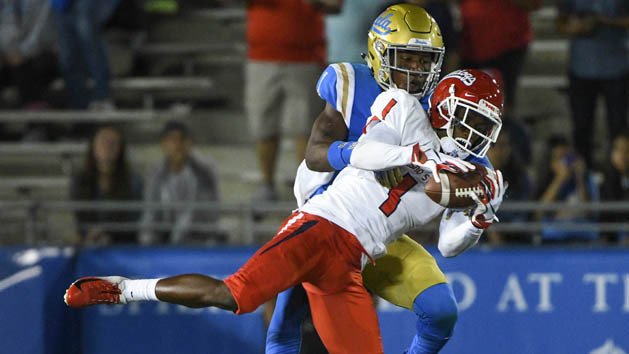 “We understand the matchup,” said Fresno State coach Jeff Tedford, who has turned the program around in his two seasons. “Their quarterback is playing great,” Boise State coach Bryan Harsin said. “They rely on him to play well, and he does. Makes good decisions, and he doesn’t take many sacks or put himself in bad situations. The Bulldogs can attack on defense, too — they are tied for the FBS lead with five defensive touchdowns, three fumble returns and two interception returns. Fresno State’s defense will face its sternest test of the season in Boise State and senior quarterback Brett Rypien, who is ranked No. 14 in the FBS in passing efficiency with a 159.3 rating. “My legacy is all going to be about how the guys in the locker room thought about me,” he told the Idaho Statesman.